LONDON, April 9, 2019 /PRNewswire/ -- Vanadium prices rose sharply from mid-2017 through November 2018, sending investor interest, and end-user concerns, soaring in this often-overlooked commodity. Since reaching a peak in November 2018, European ferrovanadium (FeV) prices declined 35% in December 2018 as speculators began to unwind their positions and markets reacted to weaker than expected demand from steelmakers in China. Uncharacteristically for the usually volatile vanadium market, European FeV prices have since settled in a narrow $70-75 /kg trading range throughout Q1 2019, creating the impression of relative price stability amid finely balanced competing market forces. While this was certainly true going into 2019, apparent price stability will not last for long if history is any guide. This Insight from CRU – drawn from our recently published Vanadium Market and Cost Outlook to 2030 – examines how legislative changes and their implementation in China is affecting the market, what risks the market faces through the rest of the year and why apparent recent price stability will not last as the vanadium market faces a turbulent 2019 and beyond. China regulation at heart of the market disruption. Two regulatory issues in China have been at the heart of the market disruption in 2017 and 2018 – one affecting demand and one affecting supply. The demand side was impacted heavily by updates to the standards for construction rebar. 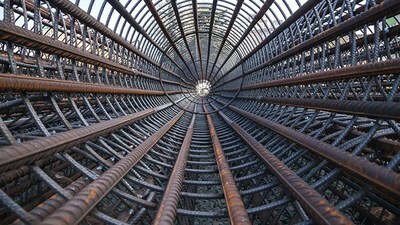 When Chinese authorities announced new rebar regulations in January 2018, mandating sweeping changes to existing operational practises and future micro-alloying requirements (sharply driving up vanadium consumption per tonne of rebar), traders and producers flocked to the market to buy up any material ahead of the November 2018 deadline when the new rules would come into force. The momentum of the updated rebar standard has been further reinforced by the lack of marginal swing capacity in the form of Chinese stone coal producers. During previous run-ups high-cost Chinese stone coal mines would come onto the market, helping address structural deficits in the market. However, due to changes in the approach to environmental standards most stone coal mines that were shuttered due to lowered prices from 2011-2016 have not been given operating permits. Those that have are only producing very small volumes.